Welcome to this episode of the Real Fast Results podcast! Today’s special guest is Dave Jackson, who is an expert when it comes to putting together podcasts, launching them, and really, all things podcast. He’s the guy that puts together the Real Fast Results podcasts, as a matter of fact. He does the job beautifully and quickly, and he has some really great advice to share with everyone throughout this episode. 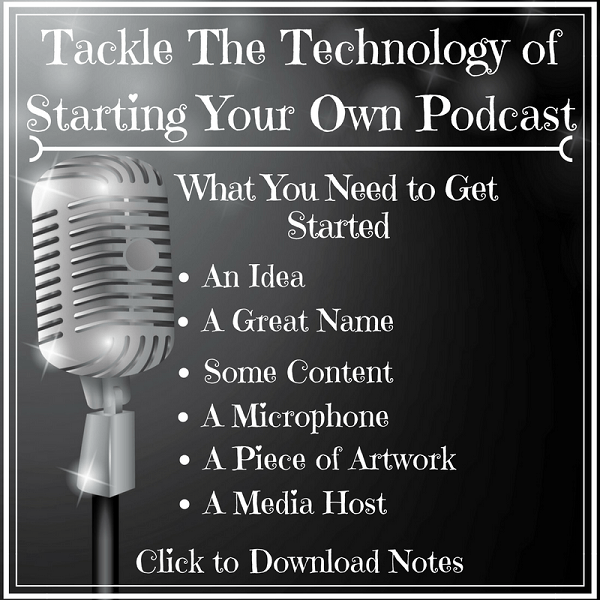 Our big promise is, we’re going to help you face your fears and tackle the technology of podcasting. So many people put podcasting on this huge pedestal. They are like, “Oh, I could never do that.” And, it’s really not that big a deal. You’ve probably got content that’s been on your blog. It’s been in your newsletter and in your emails. Just turn around and put those into audio or video [format] and set off to the races. So many people think, “Oh, I’m going to sound stupid if I do this,” or “I’m really worried about sounding stupid.” It’s not radio. So, if you’re in the middle of a podcast, and all of the sudden you you sneeze, or you cough, or whatever you’re doing, or the dog barks–you can easily go and edit that out. You need an idea to just get started. You need a piece of artwork, so find a bored fifth grader. They’ll probably make a great piece of artwork. You need a media host. Yeah, you can find me at SchoolofPodcasting.com. If you’ll throw a “/contact” behind that, you’ll be brought to a page that will allow you to contact me via email, or voicemail, or whatever you want to do. All the different ways to contact me are there as well. Also, if you go to SchoolofPodcasting.com/Dan, and you’re interested in starting a podcast, the School of Podcasting has step-by-step tutorials. We’ve got a private Facebook group, you get priority email, and I also do a live coaching there, twice a month. If you go to SchoolofPodcasting.com/Dan, you can sign up for a course or a whole membership package. That’ll get you 20% off, and we’ll get that book-ended podcast up and going. Before you know it, you’ll be a digital influencer in iTunes.